Bush cutters with arms, to be mounted on tractors with a custom-built frame. 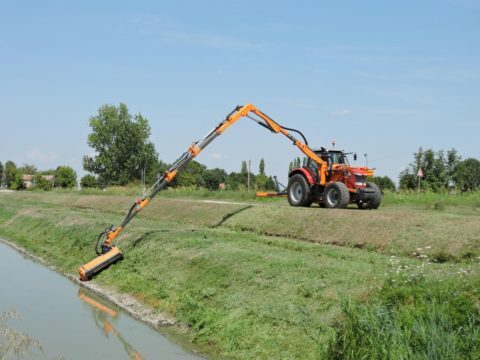 A common characteristic of these units is the articulated arm with two sections and, for models over 6 metres long, the telescopic end with a fishing-rod system that allows the arm to fully extend while being able to work close up on embankments and take up as less space as possible when on the road. 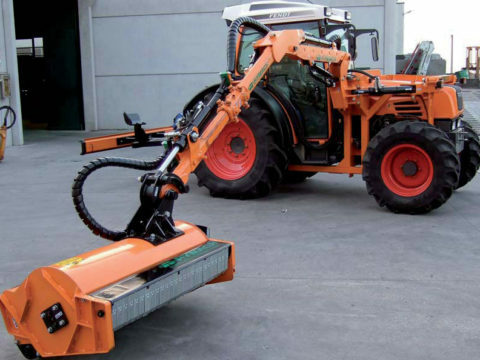 The classical mounting requires fixing onto the tractor with a custom built frame in the central position. 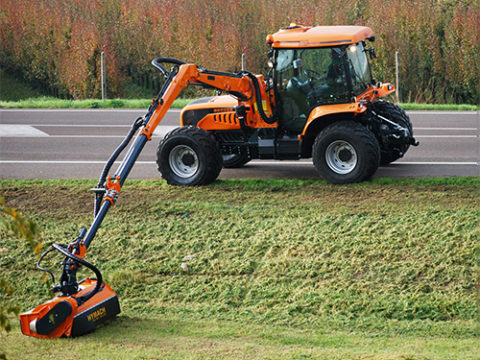 This structure can be removed at any time from the tractor in order to use it for other types of work. 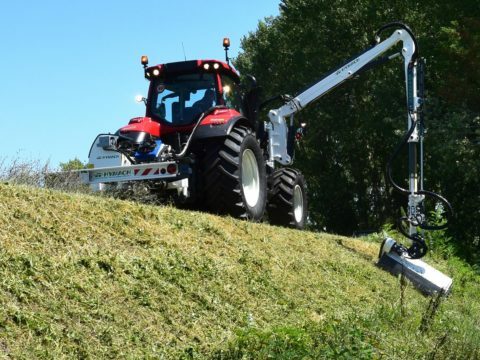 The coupling frame fits snugly onto the tractor whilst still allowing you to easily access the body of the vehicle as it can be opened on the top, or you can pass underneath the bonnet, depending on your preference and the type of tractor. 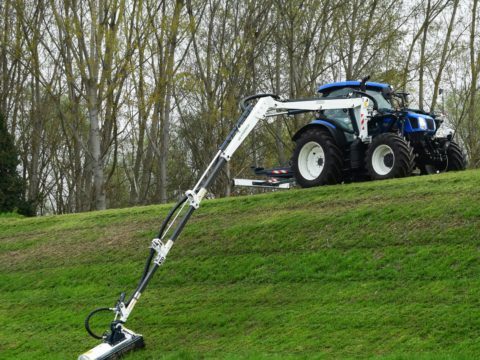 The arm rotating hinge can be standard or lowered, depending on whether you need to go around obstacles on the edge of the road or use the longest length possible. 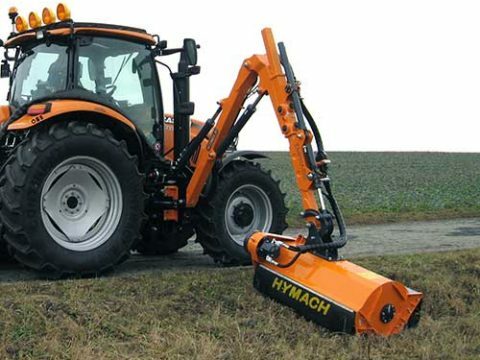 The hydraulic tank-control unit is at the rear and operates via connection with the PTO of the tractor. 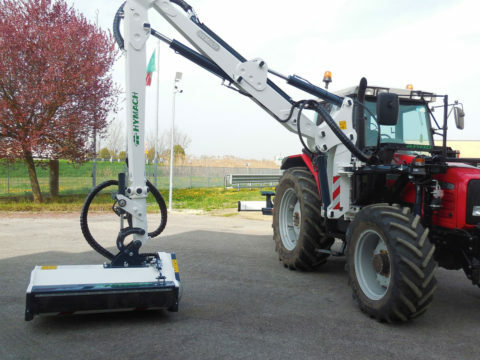 The various series in the catalogue differ in the construction of the arm, which is consistent with the length and the tools mounted on the end. Both the structure and the operating system can be modified for each user’s particular needs.